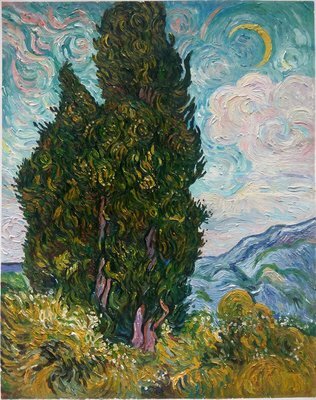 Vincent Van Gogh completed Cypress painting series when he was a voluntary patient at a mental asylum in Saint-Rémy, France. 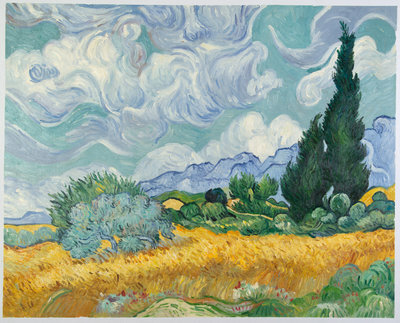 These paintings were all inspired by the view of Van Gogh’s room as it faced the Alpilles mountains. 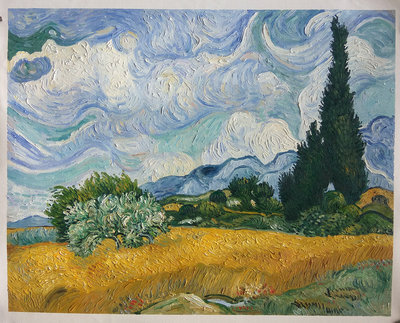 The paintings in this series include Cypresses, Wheat Field with Cypresses, and Road with Cypress and Stars. In the Wheat Field with Cypresses, there are golden and ripe wheat fields with green olive trees in the middle, and to the right is the strong and majestic Provençal cypress. 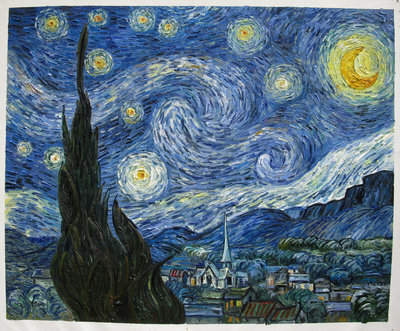 The first version of the painting was done frantically by Van Gogh right after he finished Starry Night because he was so obsessed with cypresses that time. In fact, Van Gogh considered this one as one of his best summer paintings. After painting the first version, he dealt with some mental issues, but he was soon able to get back to work and did two more versions of the same painting – one about the same size and a smaller version. The smaller painting was gifted by him to his mother, and the larger one was sent to his brother. Then there is the Road with Cypress and Star and it is clearly an homage to Vincent’s most acclaimed painting Starry Night. In a letter to his brother Theo, Vincent revealed that cypresses were always on his mind and he found them extremely beautiful. Just like Van Gogh’s other paintings, cypress in this one too extends beyond the canvas. Experts believe the orientation of the night sky in this painting might have been influenced by the conjunction of heavenly bodies in the sky on 20th April 1890. On this day, Venus and Mercury were separated by just 3 degrees, and their luminescence was comparable to Sirius. At Van Gogh Studio, the oil reproductions are created by artists from Holland and the rest of the world, who have carefully studied Van Gogh’s paintings and techniques for years. 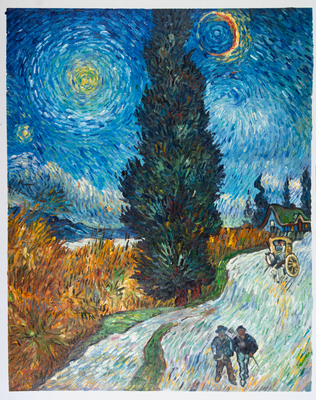 That is why each piece we deliver looks and feels just like an original Van Gogh masterpiece.